I finally got unpacked from my Seattle trip (got back a month ago...ha!) and wanted to show off all my fun pink book finds. These first two books are so special to me as they are ones I had as a little girl. 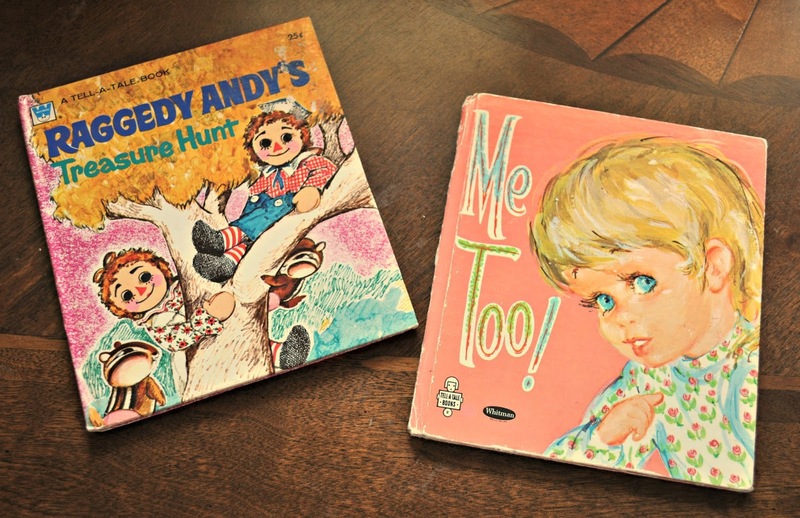 My mom read them to me countless times---especially Me Too. I can't wait to share them with my little girls. I found these at our favorite Mount Vernon, Washington antique store, Red Door Antiques. 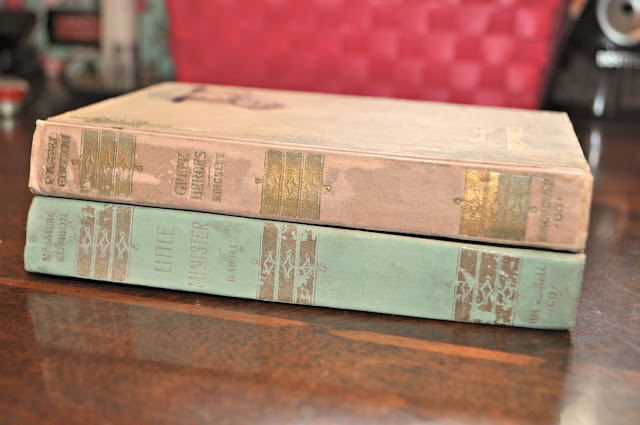 I found these two antique books at a shop I'd never been to: Curious Goods in Conway, Washington. Both books are undated but some internet sleuthing tells me they were published around 1904. On the left is J.M. Barrie's The Little Minister (Barrie is the author of Peter Pan). 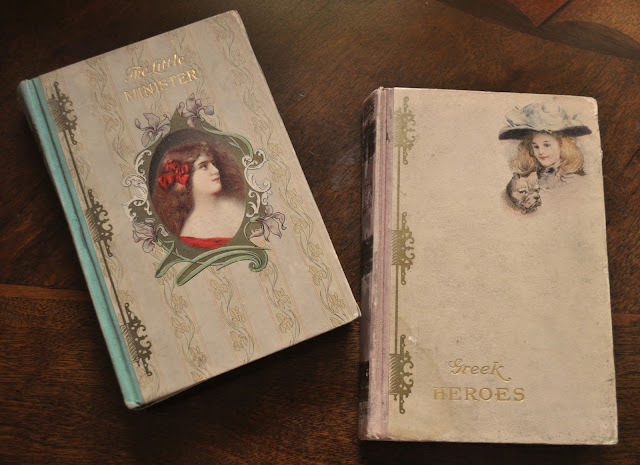 On the right is Charles Kingsley's Greek Heroes. (Kingsley authored The Water Babies and several other stories for children, including a fun collection of Shakespeare retellings that we've enjoyed over the years in our homeschool). I especially love it when books are inscribed. Both of these are. 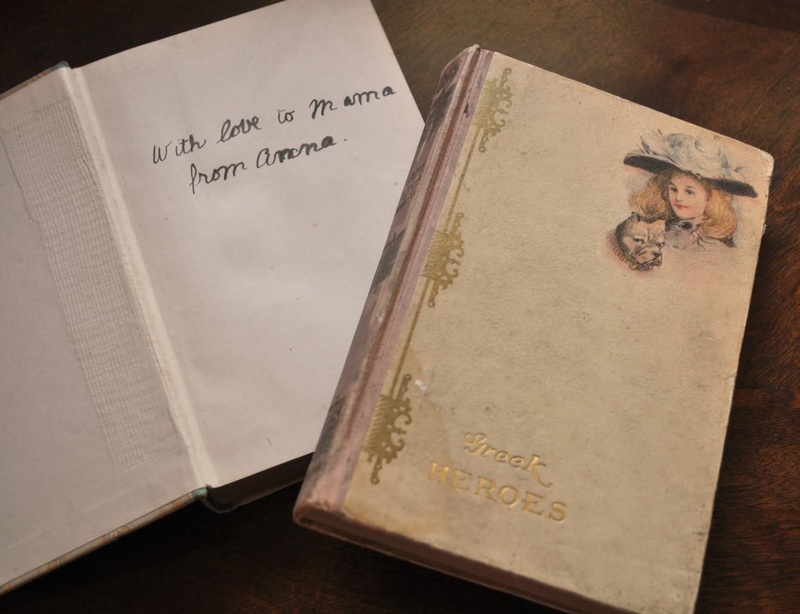 One is to this "Anna" and the other is from her to her mother. I love these sweet treasures! Happy Pink Saturday! Be sure to visit Beverly for more Pink Saturday goodness! perfect finds! I am so happy you have the two we used to read together! I LOVE pink. My absolutely favorite colour. And I love old books. Beautiful find!